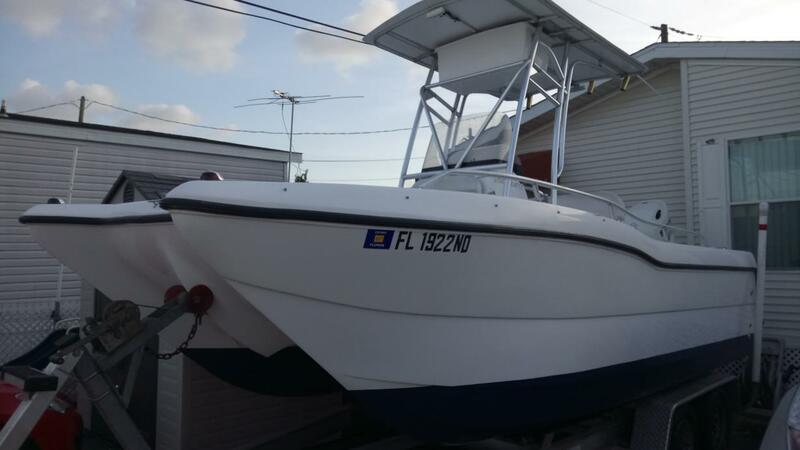 2006 PRO SPORT BOATS 2000 CC Prokat 20' Prokat or Pro Kat Center console catamaran with new bottom paint. Looks and feels much larger than a 20 ft. Has a great ride in rough seas and can also ride in very shallow water. 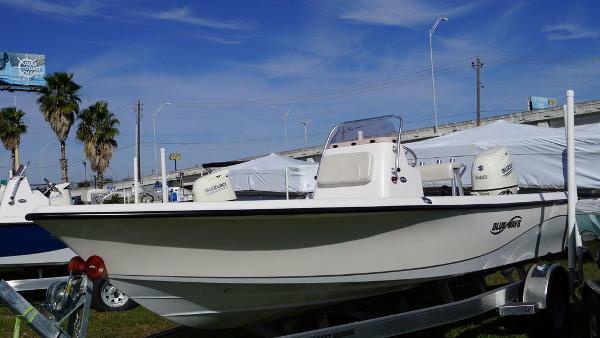 New with remainder of 6 year transferable warranty 2016 200hp white Suzuki 4 stroke with inline 4 cylinder and New Suzuki stainless steel prop with an All in one New Color Suzuki Digital Gauge (that tells you everything about the motor funtions) . New fiberglass hard top T-top with all aluminum reinforced framing. New saltwater washdown. Kenwood stereo CD player. Vhf radio. All new switches for all accessories. Garmin GPS and color fish finder. 2 New marine Batteries. Large live well. New Blue underwater led lights. New LED courtesy lights, All new led running lights. Hydraulic steering. New tires for trailer. 2 New axles with torsion bars and stainless steel hardware. New front aluminum ladder to climb onto boat. Fulton heavy duty winch. New Fulton heavy duty jack. New wood bunks for trailer. New lights for trailer. Electronics box on T-top. All new stringers were replaced in 2015 cost was $8,000. Boat tops out at 45 mph and will cruise at 32 mph while getting 4 mpg. Incredibly fuel efficient and rides incredibly well for a single engine catamaran. The reason I spent so much money on boat is because this boat can run in very shallow water and can ride very smooth out in the ocean. I spent over $38k on to it. Will sell for $30k. Clean and Clear Title in hand. Hull is a 2006. Motor 2016 with remainder of 6 year transferable warranty.